The much-awaited theatrical trailer of Victory Venkatesh’s upcoming sports drama, Guru, was unveiled in a glittering event tonight. The trailer is rustic, rugged and intense from start to finish and hints that Guru is a faithful remake to its original version, Saala Khadoos. Apart from the fiery and exuberant leading lady Ritika Singh, the surprise package in the trailer is definitely Venky, who’s rugged avatar and ill-tempered attitude are a treat for fans. Sudha Kongara is the film’s director and Shashikanth is the producer. 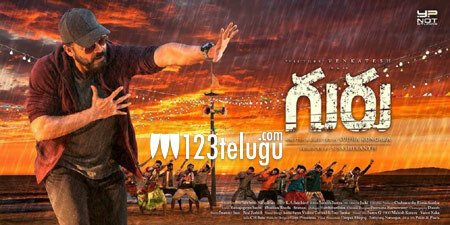 Guru is slated for an early April release.